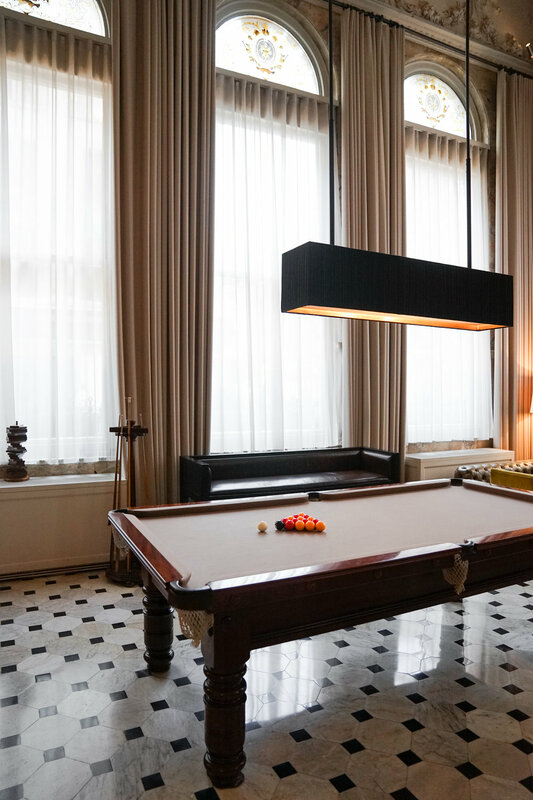 It’s located in Fitzrovia on the edge of London’s Soho neighborhood, which means you’re two steps away from Oxford Street and all its chaos, but since it’s on a quiet street you won’t hear any noise at night. This five star hotel has 173 unique guest rooms and suites with oak floors and wood-panelled walls in either dark walnut or light oak creating an intimate cabin-like feel, that we personally loved. 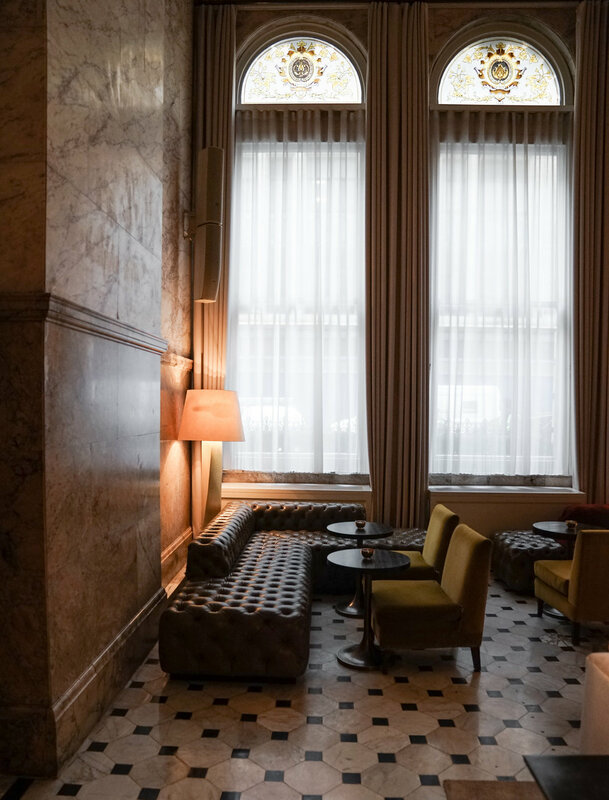 After staying at The New York EDITION and falling in love with it, staying here made us even greater fans of this collection of hotels. There are only four properties in the world, two of them are in the States (NYC + Miami), one in London and one in Sanya (south of China) and each one of them is special in its own way. 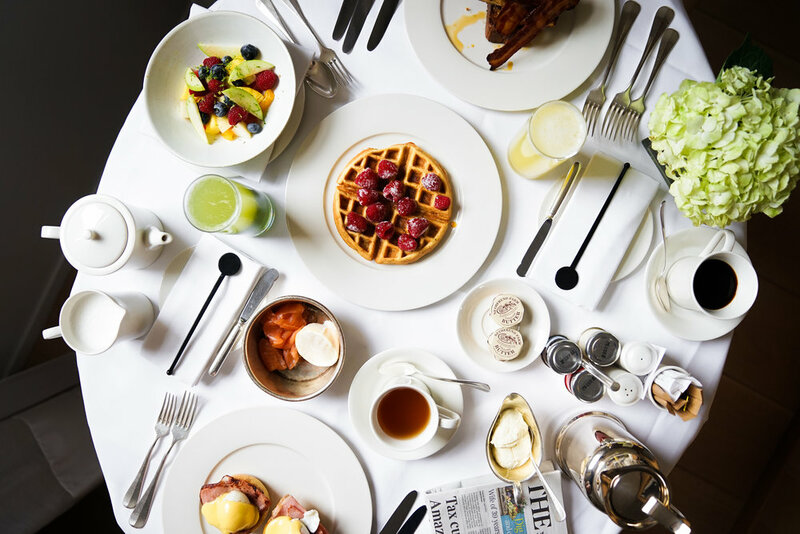 Besides from all the great breakfasts we had here (room service was impeccable), another perk of this hotel is its restaurant, Berners Tavern. On our first night in London, which also happened to be Valentine’s Day, we had dinner here and shared the most delicious “Buccleuch estate chateaubriand”, that came with Mac & Cheese, Braised ox Cheek and we also had a side of fries. We also had breakfast here one morning, and we ordered benedict eggs, waffles, pancakes, yogurt and a lot more. 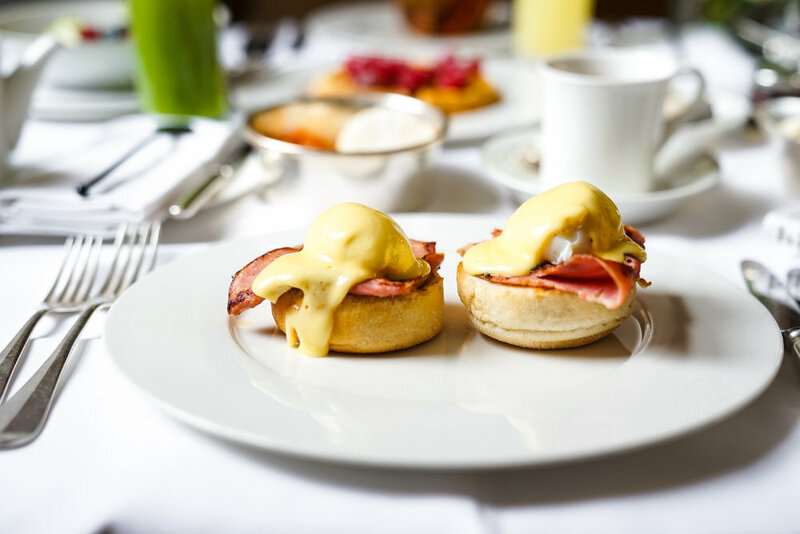 As good as the food is, we are quite sure that if you come here for either breakfast, lunch or dinner you’ll fall in love with the location, especially. 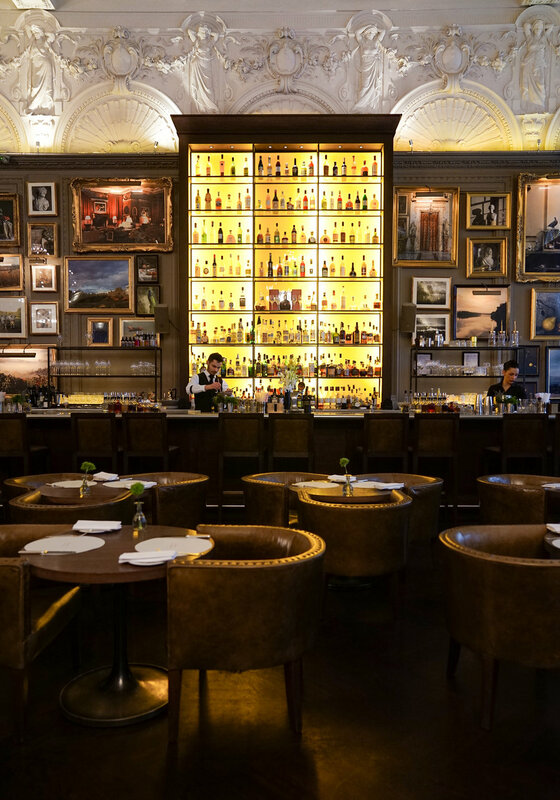 The main website says it all: under the direction of celebrated Michelin starred chef Jason Atherton, Berners Tavern is a gastronomic gem in a truly breathtaking setting. Which is why when you walk in this timeless, museum-like space (that used to be a ballroom) you won’t want to leave. 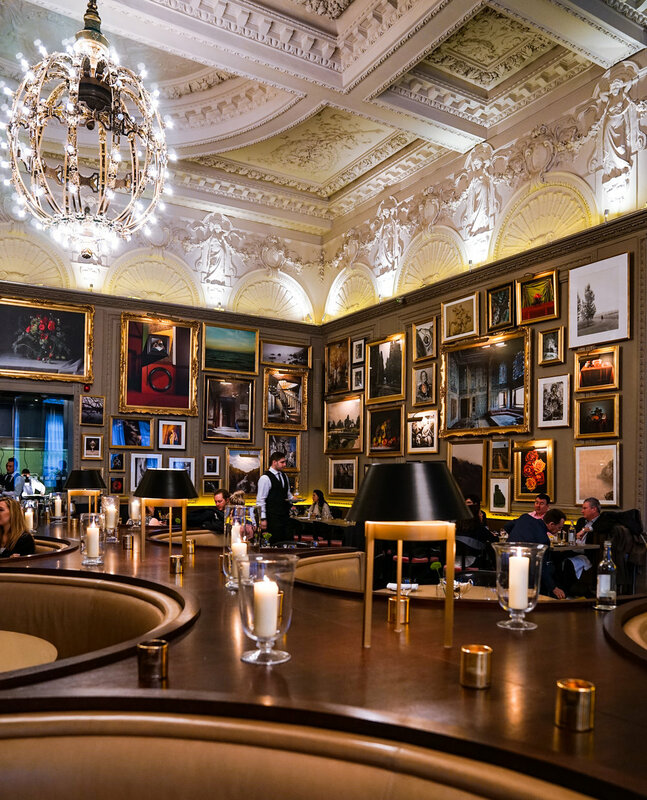 Every inch of wall is filled with gilt-framed paintings, the soft lights and the elegant yet casual atmosphere make for an exceptional location for any kind of gathering. LONDON - what we saw + photo diary!